A new flat panel full-field digital mammography, FFDM, system teams a DirectRay® selenium direct conversion detector technology and Lorad M-IV mammography x-ray generator with HTC™ x-ray scatter rejection grid. Modulation transfer function, MTF, approximates theoretical limits for the 70 µ pitch DirectRay® array. Detective quantum efficiency, DQE, approaches the ~70% theoretical maximum at zero-frequency for normal mammography x-ray exposure, and remains excellent at lower doses and higher frequencies. ACR phantom and breast images from production prototypes exhibit unprecedented image sharpness and near quantum noise limited operation. 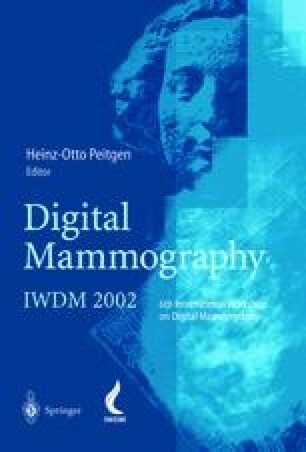 Clinical use of this FFDM system is expected to improve image quality at reduced patient dose compared to screen-film mammography.